The Atawhai Syndicate was fortunate enough to enjoy a visit from Frazer Dale of the Auckland Maritime Museum on Thursday, 4 June 2015. 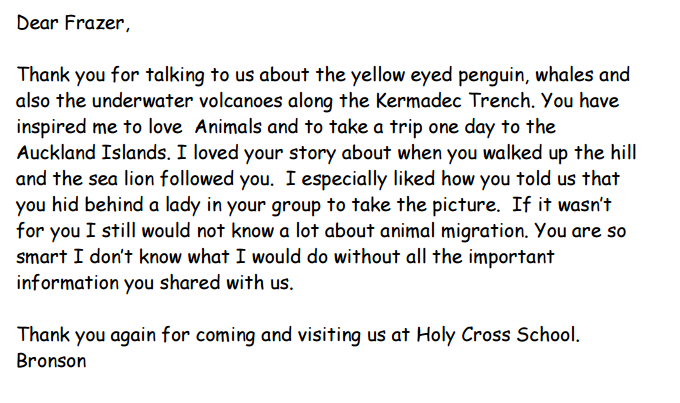 He came through to Holy Cross School and shared key information with us on animal migration. 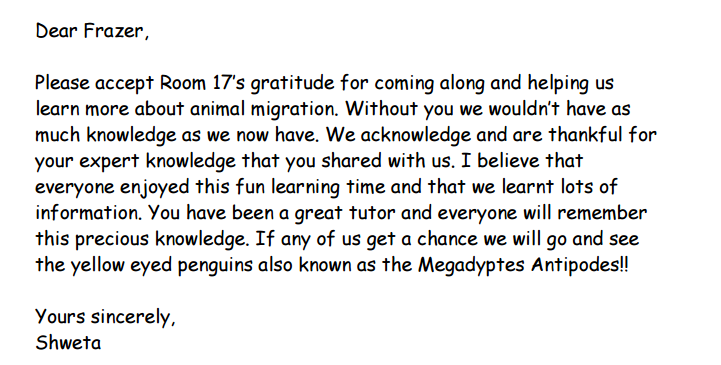 We learnt a great number of interesting facts about the different NZ animals that migrate e.g. long fin eels, humpback whales, god wit and leather back turtles. 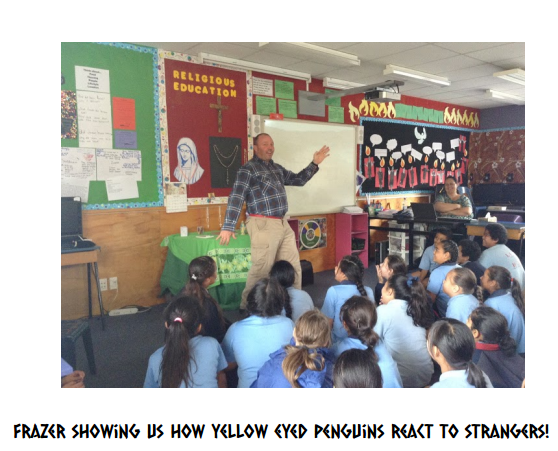 We also learnt about the Yellow Eyed Penguin or Hoiho and how it goes on a mini migration to source food. A huge thank you to Frazer for taking the time and energy to visit us and help us on our learning journey. Please chat to your children and ask them about the visit.